Oscorp is proud to announce that its highly popular motoring series Reality Rides, is coming back for a third season. Reality Rides takes the viewer on a detailed journey through the process of classic car restoration and customisation. We see the car be broken down into its individual parts, with every single component being inspected for wear and tear, down to its last nuts and bolts. Then Carl and his team painstakingly turn these pile of ancient car parts back into a fully-restored, roadworthy vehicle over a series of weeks and months. Reality Rides is an absolute must watch series for the motoring enthusiast and nostalgia buffs alike. Rights are available in all territories worldwide. 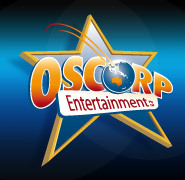 Please contact a member of Oscorp’s licensing team for further information.